"Thank you! I felt like a princess today and am officially hooked, my skin feels amazing. I have a long way to go but if visiting you is part of the journey then I am game for the trip! I’ll definitely see you in 2014!" "The notion of going to the ocean for good health" Ocean based health therapies evolved to treat rheumatism, arthritis, joint troubles, chronic skin conditions, as well as promoting beauty and anti aging. Utilizing pure Organic seaweeds and kelps harvested from the Canadian pacific ocean, this oil free salt scrub buffs the skin to perfection leaving skin silky and refined with restored elasticity. 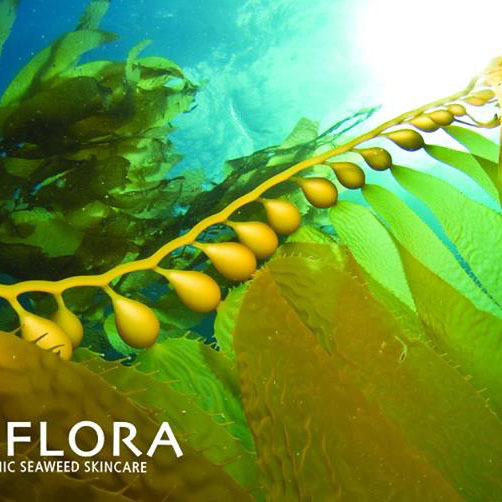 After rinsing, your skin is hydrated with a blend of therapeutic firming seaweed gel and wild sea kelp body lotion reducing lactic acid build up leaving muscles relaxed. A customized facial completes this service. Take home your own body trio to continue the thalassotherapy effects at home. Exfoliating and clarifying body polish to remove impurities and dead skin; followed by a shower; before application of the wild organic seaweeds and oils to hydrate, detoxify and stimulate circulation. Your skin will be firm, smooth and revitalized. Remineralizes the body while increasing hydration and tone as your troubles are soothed away with a relaxing head and neck massage.